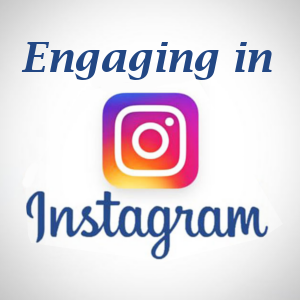 Instagram is a visual media platform that thrives on visually stimulating content. The simplicity of posting on Instagram is appealing from snapping a quick selfie and adding a filter to jazz it up. But any haphazard preparation will be obvious to your followers if you fail to post correctly. As with any marketing material, it’s vital to plan ahead. Perhaps more so than any other social media platform, Instagram demands visually compelling graphics or photographs. If the image is poor or sloppy, it will be easier for your followers to scroll past your post without much thought. Therefore, invest in quality images! The current trend on Instagram include selfies, calligraphy, and graphics or flat lay photography. Flat lay photography is an aerial view of your product(s) displayed neatly on a clean flat surface. There’s no wrong way to share your images, but keeping them light, colorful and of course professionally is best. If you feel lost or are unable to come up with creative content that is original, it’s okay. Instagram along with other social media platforms have wonderful themes and daily trends that you can incorporate into your marketing calendar. Ideas you can integrate include using hashtags or letting your followers see behind the scenes of your business. Are you attending an event or in the process of launching a new product? Let your followers be involved in your work. For example, if you own a clothing business you could create an image of a quote to inspire self-worth and beauty with a simple post followed by #MotivationalMonday. To engage your customers you can do a giveaway or contest. Ask your followers to post pictures of themselves in your clothing brand on Wednesdays. In your post include the giveaway/contest rules, encouraging followers to tag your Instagram handle in their uploads, inviting their friends to participate, and include #WearitWednesday. Since hashtags are a searchable link, you can monitor audience engagement with ease. After that giveaway/contest, you can even ask permission to share your winner’s/follower’s photo submissions, giving you extra content to use on your account for free! These simple ideas take very little preparation, but still uphold your brand integrity. When it comes to social media, most people don’t want to feel like their being sold to. So as a business, how can you sell your product without selling? Simple, showcase the value that your products or services have to offer. A great way to do this is with a product highlight. Each day/week, you can highlight a product and showcase the value of why people should want what you have to offer. Inform them of what’s going on in your world, refer them to your company blog, get them excited about upcoming products and services, and show them the planning and effort it takes to give them what they desire to see. These simple methods are easy to brainstorm, execute and repeat. Pick a day to plan your media content calendar, include a few new ideas you wish to incorporate into your integrated marketing campaign. Using an analytics software can help you track which trends your followers engaged in and which trends they didn’t. This data will help you focus on what works allowing you to incorporate other ideas that best represent your brand. Instagram is a wonderful tool to personally connect with your audience. Use it well and it will do wonders for your business.